A biographical drama, Lion shines the light on the plight of India's lost children, but as a film is limited in scope, intent and impact. Saroo is a young child from a poor rural family in India. One day he joins his older brother Guddu on a train journey to find work, but the two brothers are accidentally separated at a train station. A disoriented Saroo ends up alone on a decommissioned train that finally stops in Kolkata more than a thousand miles away from his village. After surviving on the streets for a few months, he lands in a government-run shelter, from where he is eventually adopted by Australian couple Sue and John Brierley (Nicole Kidman and David Wenham). More than 20 years later a grown-up Saroo (Dev Patel) relocates from Tasmania to Melbourne and starts a relationship with fellow student Lucy (Rooney Mara). He develops a strong desire to research and understand his roots, and with the help of Google Earth embarks on a long and difficult search to locate his childhood village. Directed by Garth Davis and based on the book A Long Way Home co-written by Saroo Brierley, Lion is a well-intentioned effort hampered by over-inflated melodramatics. The story of a lost child is undoubtedly harrowing and carries an emotional punch. But the first part of the film plays out much like a documentary about the perils of child poverty in India, while the second half wallows endlessly in personal despair. At a running time of two hours, the film is stretched well beyond the limits of the material available to build an effective narrative, with both the first and second acts loitering for too long after the point is made. The film does take a hard look at the tragedy of children lost on the streets of India, and young Saroo's distressing adventures in Kolkata are difficult to watch. There are marauding men scooping up streets kids to unknown fates, women luring young boys into the hands of predators, and the official overcrowded shelter best resembles a derelict prison with rampant exploitation by the guards. The abuses are all implied rather than shown on-screen, but enough is suggested to achieve the objective. The second half gets bogged down, the lack of forward momentum obvious as director Davis and screenwriter Luke Davies struggle to capture Saroo's internal obsession with tracking his origins. An underdeveloped side-story involving the troubled second boy adopted by the Brierleys becomes a distraction rather than an enhancement, and Saroo's relationships with his mother Sue and girlfriend Lucy are dealt with in tentative snippets. 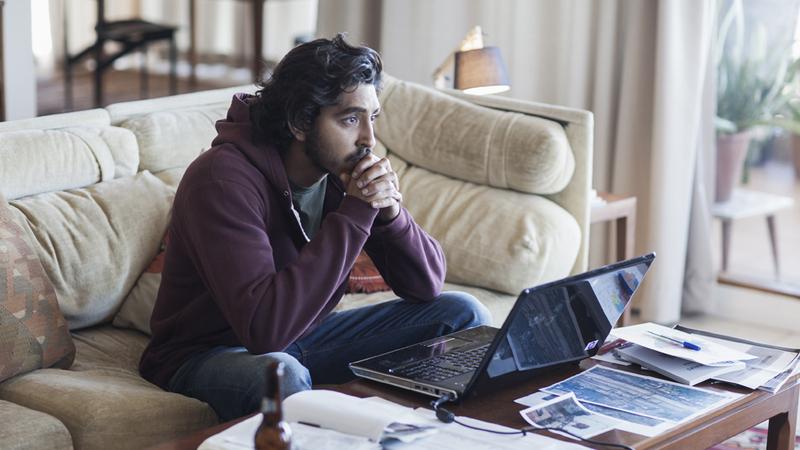 Dev Patel does his best with the limited material, but is confined to the single tone of internal grief for too long. Nicole Kidman is outstanding in a relatively brief role, and gets a couple of scenes to reveal the rich emotions of a remarkable mother deeply committed to a chosen mission in life. Lion is reasonably worthwhile as an educational drama, but less successful as a cinematic experience.